Queuing cars on first arrival. Coats on, gloves on, cold cold cold. A reminder that we’re getting old. Three kids sorted, pushchair out. Wriggling baby screams and shouts. Walk a million miles to start. See a pumpkin, work of art. Count those witches, see them fly. Open the doors as you pass by. Crack the code, break the spell. And maybe we’ll have fun as well. See the Strid, hear the river. Read the warning with a shiver. Rejoice at seeing the latte van. Take some caffeine while you can. Heading back you see your neighbours. Friends, family and owers of favours. Eat your picnic, lifts your mood. A perfect day for family time. It’s that time of year again – holiday time which for most people, means a childcare headache and/or relying on the goodwill of friends and family. However, if you’ve been able to book some time off, there’s lots going on locally this Easter time. Here’s a round up. Great Shakes Egg Hunt – click here. 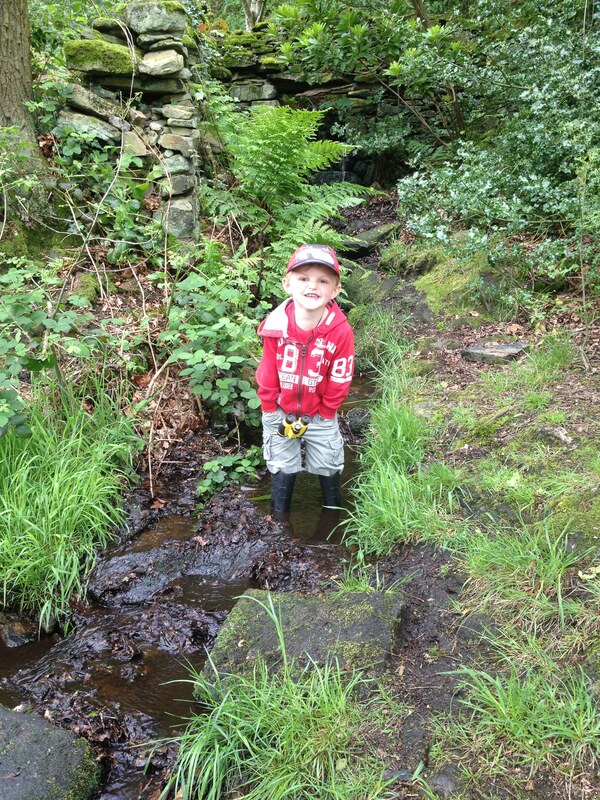 Variety of activities at the Fox and Magpie in Saltaire – click here. 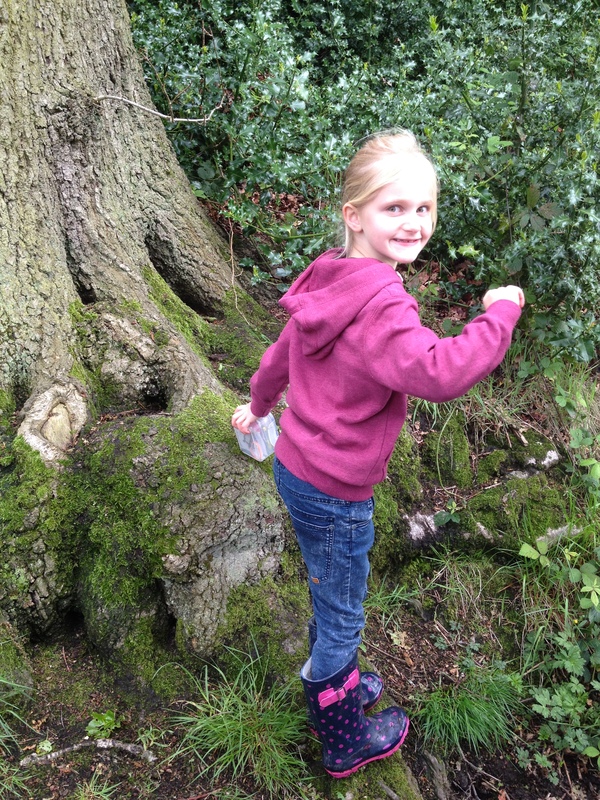 Friends of Northcliffe Park Easter event – click here. Win Win Win! Family Ticket for Thornton Hall Farm Park! Today we were lucky enough to be the guests of Thornton Hall Farm Park in Thornton in Craven – not the Thornton in Bradford as I foolishly thought. What a lovely village Thornton in Craven is – driving up there reminded me of one of the reasons we chose to live in Bingley, namely its proximity to all things beautiful. It took us about 25 minutes to get there, door to door, which makes it about equidistant with Hesketh Farm at Bolton Abbey in times of driving time. There was no issue parking, in fact there were so few cars there at first we thought it was shut! But we had a friendly welcome from the staff there who were all great people -persons and very warm and friendly. The place was VERY quiet when we got there – apparently their Christmas celebrations start next week and so the week before is usually very quiet which makes sense. It was great for us as my oldest son doesn’t like crowds, so they had a great time having the huge slide to themselves. Stupidly I didn’t get a photo – but it’s very similar to the large slide at Dragon’s Den and the children had to sit in sacks to go down. The boys loved it and went on over and over again. There is also a hay maze, animals to feed, ropes to swing on, an outside play area and tea rooms, as well as regular feeding sessions and egg collecting. Here’s what we got up to. I thought the outside play area was great – good quality play equipement and a good variety for all ages. 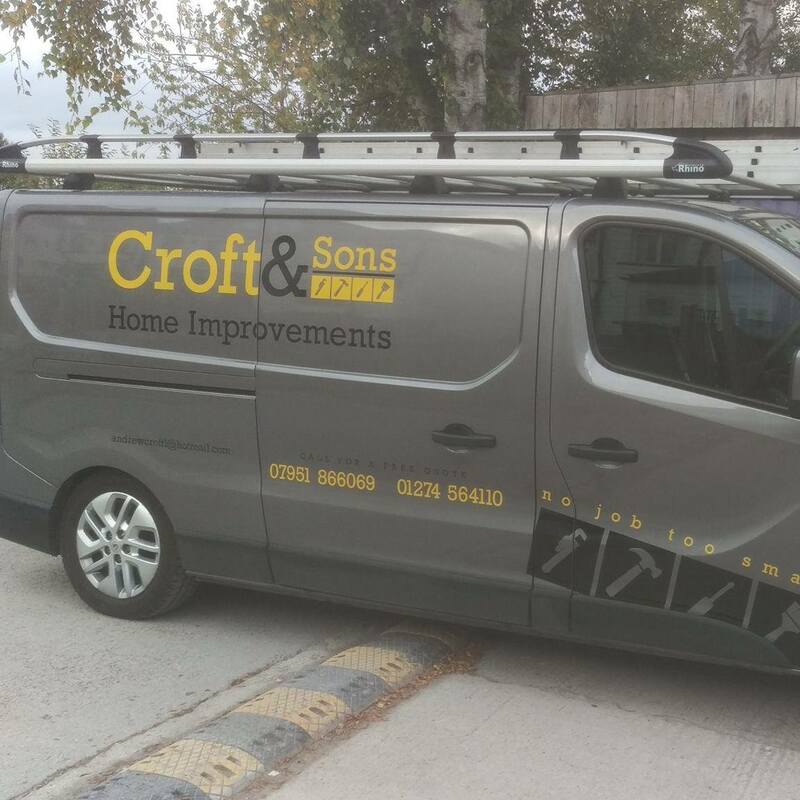 Probably nice in the summer – wrap up warm it’s colder than Bingley for sure! Nearby are the quad bikes, the caterpillar rides and trailer rides (extra fee applies). They looked like good fun. This was a great idea! Lots of rope swings with mats underneath, we really enjoyed it and it was great to see the boys initially worried and unsure learn how to swing really confidently. Loved it! We were led outside by one of the farm guides, who was really nice, to see the chickens and collect eggs. She explained about the different kind of chickens and why the eggs looked different. Then we took some eggs home (£2.50 for 12) for breakfast. As well as collecting eggs there are regular animal feeding and petting times, although you can also buy food for £1 and feed the animals yourself! As well as chickens and bunnies there were cows, sheep/lambs, horses, donkeys, llamas and ostriches (or were they emus?!). The animals were all really tame and happy to be fed and stroked. We had lunch in the cafe which could have done with being a bit bigger, though extension work is currently taking place so it’s something the farm is obviously aware of. Thornton Hall Farm Park have kindly given me a family ticket for four to give away to one lucky Bingley Family! To enter, you need to like Bingley Mums on facebook and comment on the post pinned to the top of the page saying you’ve liked the page. Share the post and tag your friends for an extra entry! I will pick a winner at random on 5th Demember 2015. Note that only residents of Bingley can enter this giveaway as I will be dropping the ticket off at your house. The ticket is for normal entry to the farm so if you go over Christmas, you will have to pay a small additional charge to visit Santa, that sort of thing. Bingley Christmas market is a 2 day event Friday 27th & Saturday 28th November with lots of seasonal gift stalls, beer tent, food stalls. 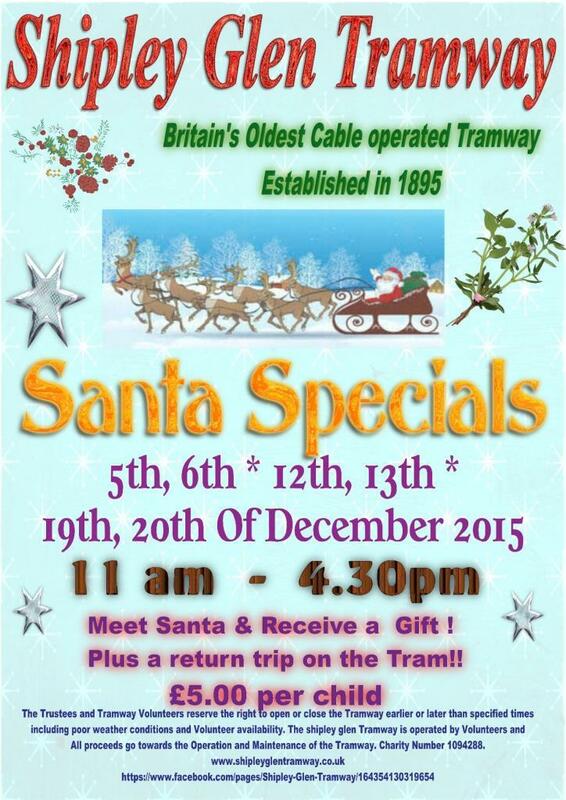 On Saturday Santa will be there and the Christmas lights will be switched on. As well as Santa and his helpers, who will be there from 10am to meet local children and hand out Christmas presents, there will also be the ever popular land train, carousel rides, face painting, balloon sculptures and more…. 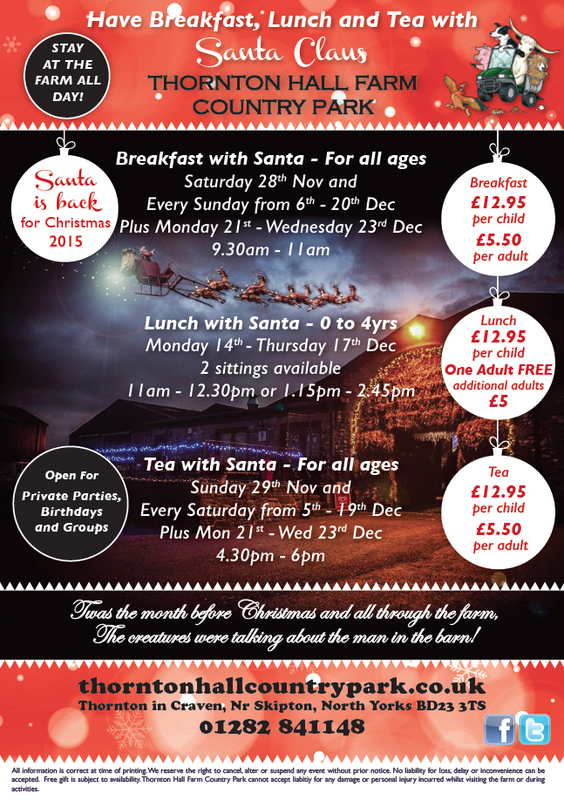 Come join in the Christmas Spirit and soak up the atmosphere! Taylormade Treats is doing 4 dates 12th 19th 23rd and Christmas Eve. Following on from the Wonka events last year, this year we are doing a Wizard of Oz inspired afternoon tea, served by Dorothy and her team. 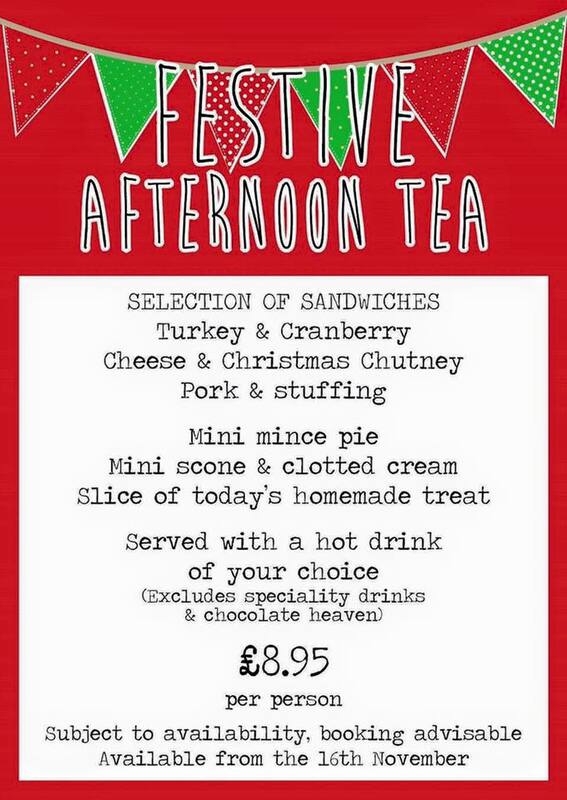 The afternoon tea itself will be a luxury afternoon tea for all the family, there will be activities for the kids to do and of course a visit from santa with gifts for all children. We are encouraging fancy dress with a prize for the best boy and girl and the worst adults Christmas jumper! Call 01274 560044 to secure your place. Sun 15th November, Join in the festivities at the annual reindeer parade. See Santa in his sleigh, accompanied by six real reindeer including two of the cutest baby reindeer! West Yorkshire Fire Brigade Band leads the parade from Kirkgate, along Sunbridge Road to City Park. 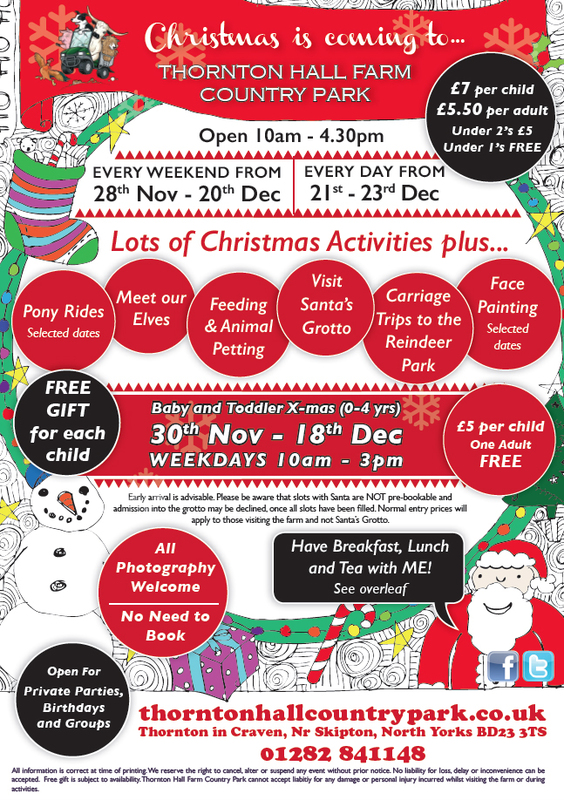 Santa and the reindeer then return to the Kirkgate Centre where Santa takes up residence in his free grotto until Christmas Eve. Get a close-up look at the reindeer in their pen on Kirkgate for an hour after the parade. 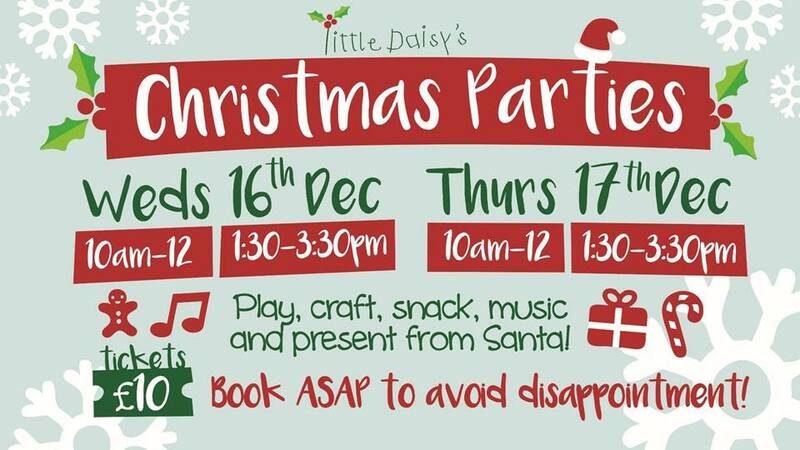 Contact Little Daisy’s on 01274 593204 or on facebook to book. Click here. Tickets are £12 and Include party tea, lovely Christmas activities, face painting and a letter and gift from a very special guest. Buy your tickets now to avoid disappointment from the Tumble Town desk. In groups your child hears a festive fairytale read by Santa before meeting him individually. Then, the elves invite your child to choose their own gift from their workshop. Tickets cost £10 per child and include a gift. A maximum of 2 adults may accompany each child. Booking is essential. Plan your visit by selecting your date and time using our online booking system, or alternatively book in advance in store. of up to 15 children. My own personal favourite. It’s a Winter wonderland! Opens from 14th November, Lots of Christmas stalls, trees, baubles, present ideas, decorations, cards, the lot! 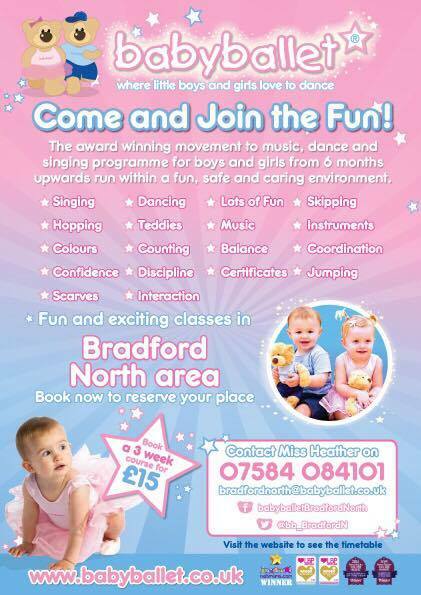 Priced £7 per child – includes a gift for children up to 10 years old. (No booking needed. The wait is normally no more than 20min, but this of course depends on numbers). Santa Special trains run from Keighley, Haworth and Oxenhope stations so please check your ticket carefully to make sure you get to the right place at the right time. Santa Special services are usually fully booked, so if you miss your train we may not be able to accommodate you on a later service. Booking is here. Priced £16.99 for children over 35 months and adults. Only dates left are November 28th/29th and December 5th/6th. Join us for something extra special this Christmas. Pay a visit to Father Christmas and enjoy hearing tales of his magical adventures, join in with music time and have fun playing the festive party games.You’ll receive a warm welcome in these group sessions, a specially wrapped gift, the opportunity for a photograph with the man himself, access to the garden trail and the arts and crafts room where seasonal activities will await. Sessions held at 12.15pm and 2.15pm are tailored under 4 year olds. If you don’t get the chance to book onto a younger session, the others are tailored to suit all ages and are especially good if you have children of different ages all wanting to attend. Dec 12 – 13th and 19th – 20th. Priced £7 per child. Booking is essential. Click here for more info.